Welcome to K9 Solutions Center! K9 Solutions Center, located near Dayton Ohio, offers the absolute highest quality police dog training. Our training division is comprised of police officers who work the street daily, and are familiar with the needs of practical real life training required. K9 Solutions Center specializes in providing the most effective and reliable drug detection and patrol dogs available. Selection, training and certification standards for our detector dogs are uncompromising. For more information please call us at (937) 771-1476 use our contact form here. Quality: At K9 Solutions Center we provide only the finest quality training and care for our Dogs and Handler's. 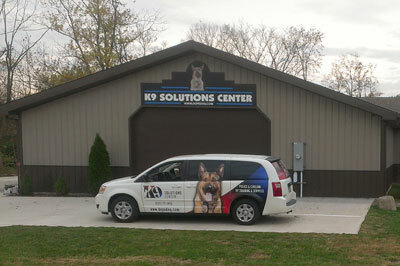 Exclusivity : K9 Solutions Center provides an intimate, controlled environment for our Training and Handling activities. Experience: K9 Solutions Cents is owned and staffed by active Law Enforcement personel with many combined years of experience.